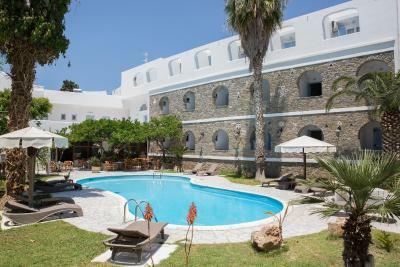 Lock in a great price for Galinos Hotel - rated 8.4 by recent guests. 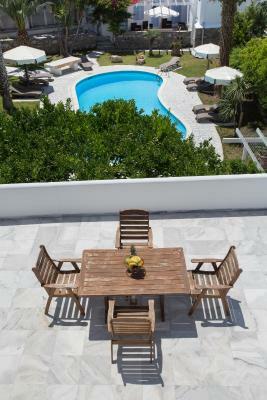 We loved the location, access to restaurants at your doorstep, the option of a pool when you are finished at the beach and a yummy breakfast to start your day!! The hotel has only 2 stars. I'm sure that he deserves more !! Luxurious bathroom which is exhausted by marble. 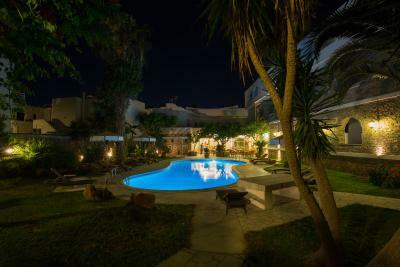 Located in the heart of Parikia’s old town, Galinos is a 7-minute walk from the beach. 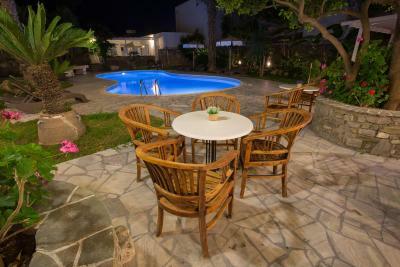 It features an outdoor pool and offers rooms with balconies and free public Wi-Fi. 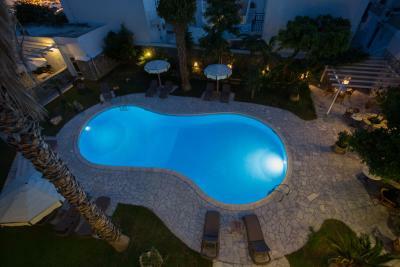 The air-conditioned guest rooms are equipped with satellite TV, refrigerator, and en suite bathroom. 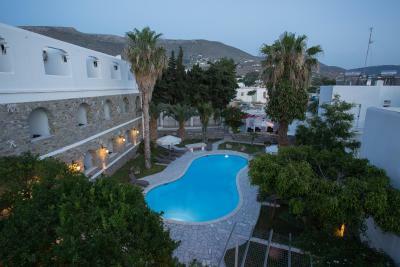 All rooms have a private balcony with town and mountain views. 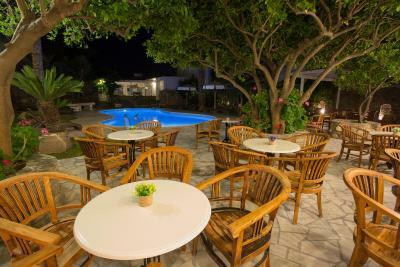 Guests of Hotel Galinos can relax in the pool terrace, and enjoy a drink or have a refreshing swim. 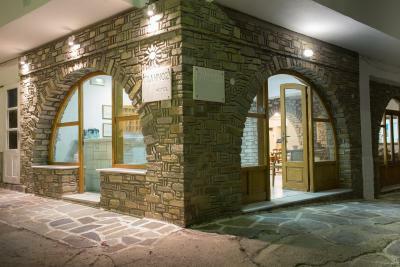 Paros Tavern serves local specialties throughout the day. 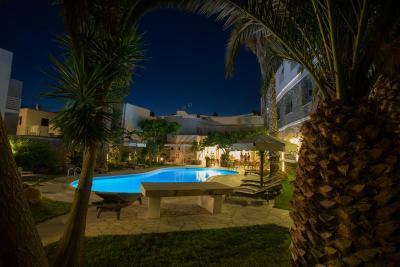 Hotel Galinos is 350 yards away from the port and just 50 yards from the main market. It also provides easy access to the central bus station with connections to all parts of the island. Free parking is available nearby the hotel. 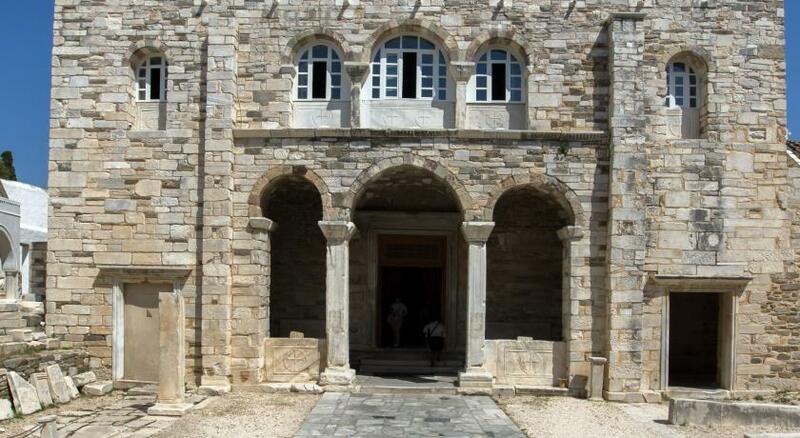 This is our guests' favourite part of Parikia, according to independent reviews. 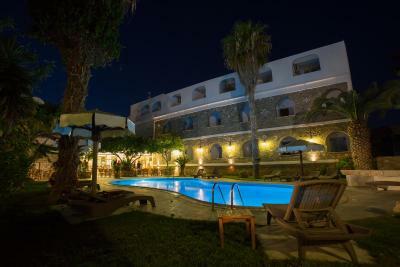 Galinos Hotel has been welcoming Booking.com guests since 2 Aug 2010. 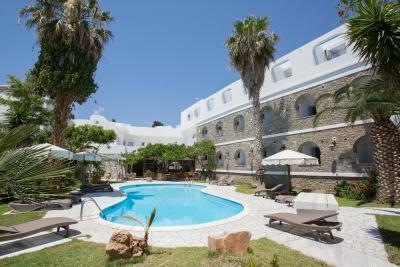 When would you like to stay at Galinos Hotel? Double room with balcony with view of the pool. Triple room with balcony with view of the pool. Spacious room, suitable for 4 guests. 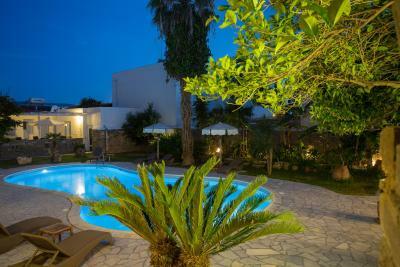 It is located next to the garden and hotel pool. House rules Galinos Hotel takes special requests - add in the next step! Galinos Hotel accepts these cards and reserves the right to temporarily hold an amount prior to arrival. WiFi is poor when the Australians return from the beach. Can be quite noisy at nights when the Australians party. I would prefer to add for breakfast more fruits and vegetables, because some mornings the toast and eggs were too heavy for the stomach. Hard to find, breakfast extra charge and not much left on day we tried. The pool was very dirty and no pool towels were provided. At first it was difficult to find the hotel as no sign shows the entrance and the address on maps is not exactly the location. 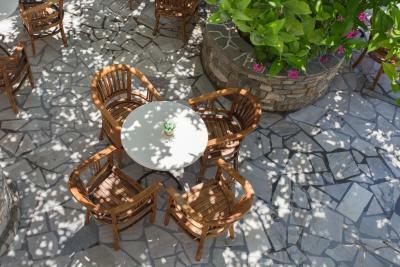 Good location in the middle of the city center, reachable by foot. Nice simple rooms with balcony. Overpriced stay for a basic small room with a very small shower . The proximity of hotel . The pool area is amazing ! The room in general! the beds were terrible (probably 30 years old), the smell in the room was horrible. The furnitures were old and the balcony door not very safe. No safe box in the room and we had to carry with us our valuables. The staff wasn’t overly friendly. They didn’t provide transfer from the port. Additionally, when we asked if they had towels for the pool, we were told to purchase them ourselves in town. In comparison to other hotels on the other islands , it was average. The bathroom was very small, I could not shower properly as the shower was very small & you had a hand held nozzle to wash yourself which made it hard.